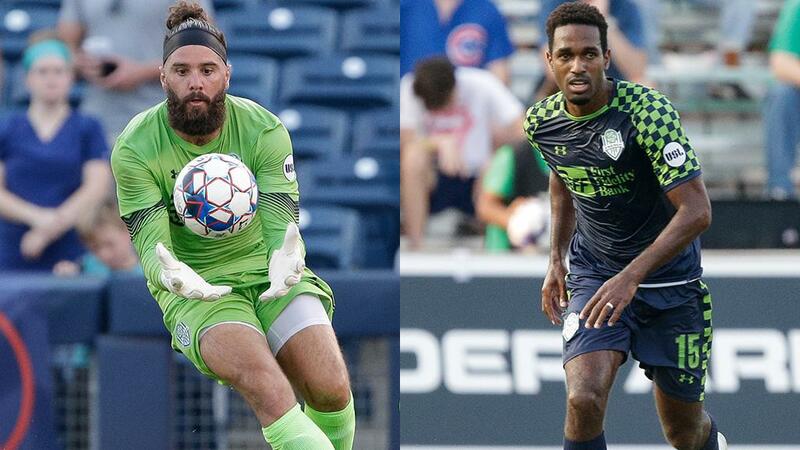 MIAMI – OKC Energy FC goalkeeper Cody Laurendi and defender Atiba Harris were among the nominees as Concacaf announced the finalists for its annual awards on Monday, putting the duo among elite players from across the region. Laurendi was nominated for the Concacaf Goalkeeper of the Year award after a stellar year that saw him feature prominently for the Puerto Rico National Team and Energy FC after his return from a torn PCL suffered late in the 2017 USL Championship season. The experienced shot-stopper recorded a 77.1 percent save percentage and four shutouts over nine appearances at the end of the 2018 campaign for Energy FC, and this offseason signed a new two-year contract to remain the club. The 30-year-old also competed internationally for Puerto Rico in Concacaf Nations League Qualifying throughout the fall, conceding only three goals in three games for his country. He stands as a finalist alongside other regional standouts including Real Madrid’s Keylor Navas (Costa Rica), Standard Liège’s Memo Ocho (Mexico) and the New York Red Bulls’ Luis Robles (United States). Harris joined Energy FC this past June and had a strong impact on the club defensively. The veteran recorded 63 clearances and 34 interceptions in 14 appearances for the side while posting a 67.3 percent success rate in duels and 70.5 percent success rate in aerial duels in his time with the club. The 33-year-old also helped St. Kitts & Nevis to success on the international stage, with the country currently sitting in position to advance to the 2019 Concacaf Gold Cup after winning two of its first three games in Concacaf Nations League Qualifying this fall. Harris is joined as a finalist in the category of Men’s Best XI – Defenders by the likes of Tigres UANL’s Hugo Ayala (Mexico), the New York Red Bulls’ Kemar Lawrence (Jamaica) and Minnesota United FC’s Francisco Calvo (Costa Rica). Voting for the 2018 Concacaf Awards will run through January 8, 2019, with the fans vote making up 25 percent of the final ballot. Voting for Goalkeeper of the Year can be found here, while voting for Men’s Best XI – Defenders can be found here.